The Huawei Mate 20 Pro is a beast of a phone, offering just about anything you would expect from a 2018 Android flagship. In fact, it has raised the bar quite high, featuring a large, beautiful display, a giant battery, an in-display fingerprint scanner, and 3D facial scanning tech. Unfortunately for the customers in the U.S., the ongoing spat between China and America means that the phone is not officially available in the country. This is hardly surprising, as AT&T and Verizon were barred from selling last year’s Mate 10 Pro. That’s why this time around, Huawei didn’t even attempt to launch its latest phone in the U.S. However, that certainly doesn’t mean that stateside customers can’t get their hands on one of the best phones of the year. The international variant of the Huawei Mate 20 Pro is now available in the U.S. Although several websites are selling the phone right now, your best bet would be ‘Never MSRP’, a retailer on eBay with a stellar rating. This means you can buy the factory unlocked version of the phone without any qualms. The retailer has an excellent track record of selling international variants of popular smartphones at reasonable prices. 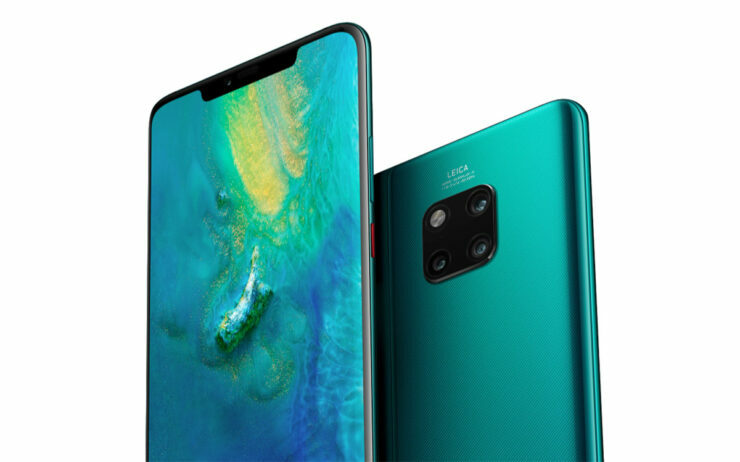 The Huawei Mate 20 Pro, which is pitched at $928, is available for $899.99 with Never MSRP. This means not only do you get the phone, you get it at a marginally lower rate. Although the phone is available in the colors Black, Pink Gold, Midnight Blue, Twilight, and Emerald Green, Never MSRP is only selling it in the color black. Moreover, it seems as if only the 128GB variant is available for now, and it sports 6GB of RAM. Color options and memory configurations aside, the Mate 20 Pro at this price is quite a catch. However, since the CDMA technology is not supported, it is off limits for Sprint and Verizon customers. Luckily T-Mobile and AT&T subscribers can enjoy go ahead and enjoy faster connectivity. If you want to read more about the Mate 20 Pro, you can check out our previous coverage below.